Let's hear it for the indie bookstores! 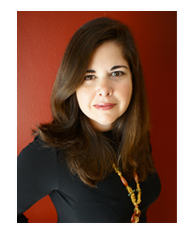 Kathy L. Patrick talks about Beauty and The Book, the first and only beauty and bookshop! Kathy L. Patrick is a force of nature. The author of "The Pulpwood Queens' Tiara Wearing, Book Sharing Guide to Life", Grand Central Publishing, and the founder of the Pulpwood Queens and Timber Guys Book Clubs (You have to go to a Pulpwood Queens Girlfriend Weekend to see for yourself what a razzle dazzle time she puts on! I spent three days in pink wigs!) and the owner of one of the most special indies around, Beauty and the Book. 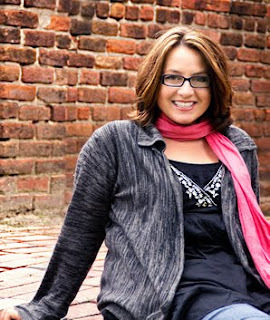 I adore Kathy and I adore indie bookstores, and I'm thrilled to have her here on my blog. Thank you, Kathy! How did your bookstore start and what's so special about it? I know what it is, but tell the readers! My Beauty and the Book began only because I lost my job as a book publisher's representative. My sister suggested I go back to doing hair as I put myself through college being a hairdresser. I told her I thought I would be bored and she quite matter of factly, told me, "Then do the book thing too!" All this bells and whistles started going off in my head and wa la, Beauty and the Book, the ONLY Hair Salon/Book Store in the country AND the Official Headquarters of my 500+ book club, The Pulpwood Queens, the largest "meeting and discussing" book club in the world. I never would have done this if I had not lost my job, so see good things can come from bad things. It's all in my book, "The Pulpwood Queen's Tiara Wearing, Book Sharing Guide to Life" published by Grand Central Publishing. I probably never would have gotten a book published either but if there is one thing I have learned, do something really, really, different. Think outside of the box. For me, what box? What do you think a good bookstore should do? A good bookstore should be a place where you can go and find amazing discoveries. I help the undiscovered author get discovered in a big way as nobody is really doing just that, today everybody choices are being so narrowed by books that are being published that are givens. I am a risk taker and I want to find the next TO KILL A MOCKINGBIRD. In fact, Jeannette Wall's editor came up to me personally at Book Expo in New York City recently to thank me for helping her book The Glass Castle become a bestseller. Now I don't know about that but I do think we gave her a little nudge into the limelight. Being thanked was really appreciated, that's all I ask is a simple thank you. And a good bookstore should be a place for community and NOBODY does that better than me. I am the unofficial chamber of commerce in town. I tell all who grace my doors, let me shop be your home away from home. You can stay as long as you like and we love having company! I like people and people who like books, well, they can stay for as long as they like and sometimes they do!!! Not only can someone come into Beauty and the Book and get their hair done, but they can also buy unique gifts, come to fabulous author event, and buy books! What's in the future for your store? Can people support and order from your store online? Yes, they can email me at kathy@beautyandthebook.com or call my shop at 903-445-2353 to order books. I have many signed like Pat Conroy's MY READING LIFE. Or they can order any book from my website, www.beautyandthebook.com, just click on my book and I get a kick-back from amazon.com on anything they may order. I figured if you could not beat them, join them. And to me as long as people are reading, I'm happy! What question didn't I ask that I should have about your bookstore? What makes your Beauty and the Book different from any other bookstore? I would have to say, me, they broke the mold when it came to my passion for beauty and books. I'm pretty much like most independent bookstore owners, we are all characters. We have our own unique personalities but really how many book store owners would color their hair to sell an author's book. That's what I did for self-published MY ORANGE DUFFEL BAG by Sam Bracken with Echo Garrett. I believed in that book so much I told the world on Facebook that if I could sell 1,000 copies I would make my hair match their neon orange book cover. I did that in a week and a half and since then they have received a book deal from Crown Publishing, a division of Random House. Today, that challenge is out again for Michael Morris's new release, MAN IN THE BLUE MOON! 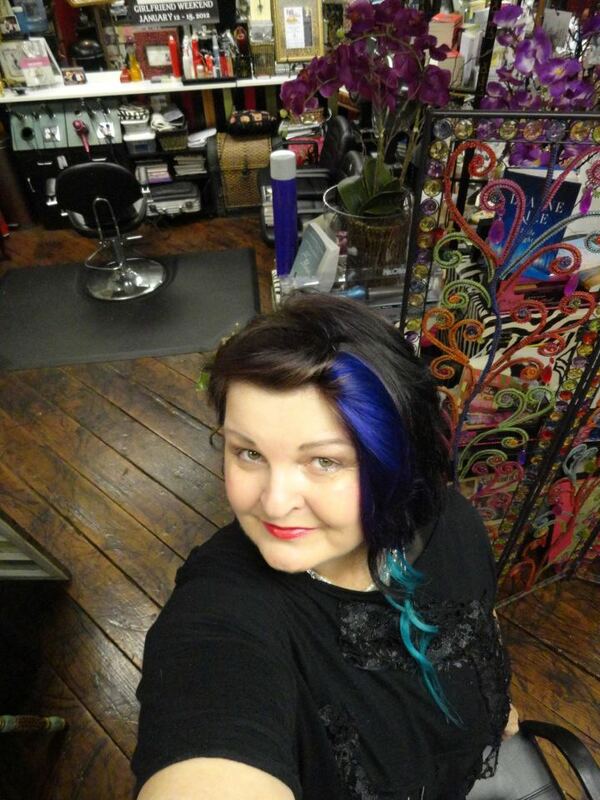 I have two blue streaks so far but hopefully soon I will have MAN IN THE BLUE MOON hair! I do all kind of crazy things to help promote my book club selections. Recently, I have a Pulpwood Queen Book Club YARD SALE in conjunction of a book signing for Lynda Rutledge's New book, FAITH BASS DARLING'S LAST GARAGE SALE and to benefit my charity of choice The Dolly Parton Imagination Library Pre-School Reading Program in our county! 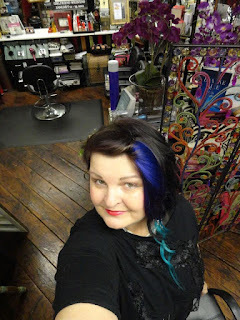 And if you want to really see what I do, check out my Beauty and the Book, Kathy L. Patrick, and Pulpwood Queen Girlfriend Weekend Facebook pages. I even have an online book club talk show at www.beautyandthebookshow.com and really working on trying to get that up on television or cable. Again, I will do what it takes to share my passion for beauty and books but nothing I could not share with my youth group at my church, hahhhahaa! Thanks for sharing my Beauty and the Book Caroline! Because I'm a book critic, I get a lot of galleys. 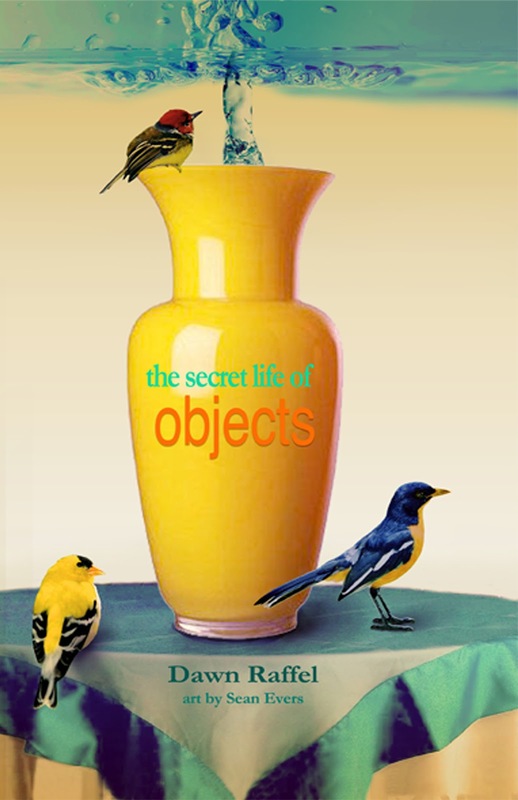 I try to read at least a little bit of everything, and my test is whether I become obsessed. When I got Shine Shine Shine, I missed my subway stop. I read on the street. I wanted to corner people and urge them to get this book. It's coming July 17th, but if I were you, I'd preorder it NOW. About love, robots, the moon, and the ways our differences define us, this is one of my favorite books of the year. 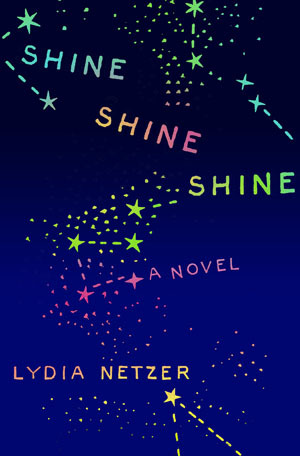 I immediately tracked down Lydia Netzer, the author, to get her to come on my blog. I'm thrilled to have her here. Thank you, Lydia. Now hurry and write another book so I can read it. What was the spark that started this book? When I started this novel I had just gotten pregnant with my first child. I was paralyzed with fear that I was too weird, too self-absorbed, too unskilled to have a child, and that whatever baby had the bad luck to be born of my uterus would be permanently scarred by my failings. To put it simply, I didn't think I was good enough to be a mother. I know now that I'm not the only person who ever had thoughts like this, but at the time it seemed like all my contemporaries were gliding along, knowing how to perfectly cook fish, organizing gardens, making sound parenting decisions, folding diapers into origami. I remember a friend with daughters explaining how she'd told her misbehaving girls, "This is not how little ladies of the realm comport themselves!" Looking back, it's a cute thing to say, but not so shatteringly brilliant -- just using a princess metaphor to explain to girls how to be polite. But at the time it struck me as impossibly wise and insightful, something that I could never attain. I imagined myself trying to talk to a child, and it coming out like "TAKE NAPKIN. NOT CROSS STREET. WIRE DANGEROUS" or whatever. I wanted to write about this sickening self doubt that I felt, looking at myself in this completely new way, through the lens of motherhood, and finding everything that I'd previously liked about myself was now a potential danger to my child. I started the book to explore these transitions that women make, from single girl to married person, married person to mom, to grandmother, etc. That was the spark. My first child is now 12, and the book has been through many drafts. I have always been writing, since I was a little girl. I used to fill up notebooks with very dull stories about perfect families with stables full of horses. I spent a lot of time elaborating details of their daily lives, with the only conflict being these tiny mishaps like a spilled manure bucket or a torn dress. I was born in unusual circumstances and ended up legally adopted by my maternal grandmother, who became my mother. I think these stories were sort of fantasies for me. The most mundane of conversations between a regular mom and dad was a real frontier in my brain, or the most trivial of sibling interactions was a highly experimental topic for me, and endlessly fascinating. I would be really embarrassed to look back on any of that writing now! I'm a binge writer. I am a homeschooling mom, so I don't have much time without the children. Creating the mental space that it takes to write requires a level of compartmentalizing that I'm sometimes unable to achieve for weeks at a time. I tend to "stew pot" my book a lot -- thinking about it in the car, before sleeping, while reading other books or waiting at karate class or whatever. I think and wrestle and juxtapose and wrangle. Then I will draft thousands of words at a time, and lose a few days to my novel. Sometimes I have gone away from the children entirely, taking to the mountains or beach with Joshilyn Jackson for a real writing binge. Sometimes I just mentally retreat, like during Nanowrimo, when I allow myself to bring the novel around to the front of my brain, and let the children eat more takeout, and run a bit wild. It's a struggle, like it is for all moms who write, and in a way I wish I had more freedom. However, the children are wonderful and the way they involve me in the community and drag me out into the light and force me to engage with people -- this is a good thing. I have no idea what I will do when the children are gone and I'm allowed to be a weirdo writer full time. I will probably go completely insane. I'll need to foster baby deer or something. Do you outline at all? Did you know what was going to happen at the end or did it surprise you? The book surprised me a few times, during the course of the long process of writing it. Originally there were three sisters instead of just Sunny and three husbands instead of just Maxon. Maxon's name was Murray and Sunny's name was Kate. Originally, she was not bald and the mother lived in Virginia in a luxurious brownstone and did not die. I do not use an outline. My process seems to be to write a draft, throw it out, despair, write another draft, salvage something from it, get hopeful, write more, give up, throw it all out, start over, etc. It takes forever but fortunately I've got a few books cooking like this, so it won't take another dozen years before I'm able to produce something else. I hope. 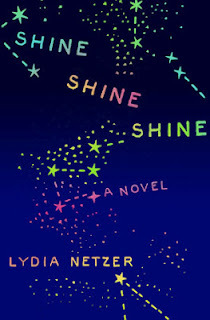 I found the book so incredibly magical--and moving, especially in its core idea of what constitutes normal, how do we belong to a society or to each other, or even to ourselves, and why we should celebrate the differences. Can you speak a bit about that, please? I love weirdos. And deep down, we're all weirdos. There are those who are more skilled at social camouflage, and our concept of "normal" I think arises from a landscape created by these socially skilled creatures. The rest of us try with varying levels of commitment and success to fit into that. But even the ones who are so normal that they almost seem to disappear into the concept they've created -- they've got secrets, they've got dark places, they've got lunacies. I have always sought out friends who are outside the norm -- maybe crazy, maybe brilliant -- just rogues in some way. I married a man who is very eccentric. My best friends are all, on some level, nuts. When I became a mother, and surveyed that serene landscape of "motherhood," populated as it was by silver minivans, women in twinsets, church bumper stickers, it seemed intimidatingly perfect and therefore sort of uninteresting. How could I succeed as a mother when I was so odd and everyone else was so normal, and did I even want to? The answer, of course, was to question my premises. From a distance, that homogeneous landscape was impossibly normal. From close up, however, the normalcy dissolves into specifics, and those specific people are all fascinating, all unusual, all satisfyingly crazy. Mark Twain said: "When we remember that we are all mad, the mysteries disappear and life is explained." What a relief! We are all mad ! Rip your wig off! Can you talk about your next book at all? My next book is also a love story with elements of science. No robots this time! Black holes instead. I'm writing now what is essentially the third draft of this book, the first draft of it in its current shape. I started it in 2003, so these "new" characters, George and Irene, have been with me almost as long as Sunny and Maxon have. As I write their story while writing *about* Sunny and Maxon's story, there's sort of a battle for supremacy going on in my head! Of course, I love them all. What's obsessing you now--and why? Book-wise, it's Robert Goolrick and Ron Rash. Music-wise, it's Missy Higgins and I Blame Coco. Brain-wise, the philosophy of astrology in general, and the ancient Babylonian concept of symmetry specifically. Body-wise, it's gardening. I think I like gardening so much right now because it's giving me this illusion of control and accomplishment. Launching a book is scary, and there are so many elements that I can't do anything about. I can, however, pull up all the weeds, transplant a fern, prune a rosebush. The irony is that I've chosen gardening to represent the thing I can absolutely control -- when I can actually do nothing about the weather, the surprising contents of soil, the mysterious blights, the birds and squirrels, and a million other variables. I think you could ask if Maxon is going to be okay. I know what my answer would be, even though it might be a lie. I love Maxon like I may never love another character I find to write about. I need to believe, for myself, that Maxon will be fine, and do great, and find absolute happiness, and never have another trouble. But when I think about his future, and what I imagine it to be, it all becomes a little gauzy and unrealistic. And I question whether I'm being absolutely fair, or honest with myself. That makes me worry about him. Of course, in Maxon's case, I'm the writer, and I can make it be whatever I want. So if you ask me, what's going to happen to Maxon? Is Maxon okay? I will definitely answer: Maxon is fine. He is fine, fine, fine. But I do think it's a question that needs to be asked. I just may not be the best person to answer it. 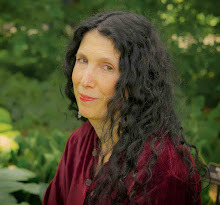 Barbara Abercrombie is a fellow UCLA instructor and winner of the Outstanding Instructor of the year award, and in 2010, she also won the Distinguished Instructor Award for the Writers Program. She's the author of 13 books and she's one of the warmest, funniest, most generous writers around. 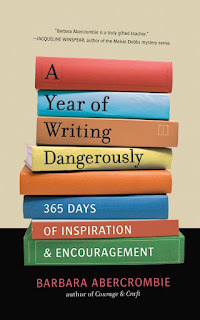 A Year of Writing Dangerously is one of those books you want to buy multiple copies of to give to friends. Not only is it packed with great advice, but it feels like a comforting voice whispering to you not to give up, to take heart, to keep going. I'm honored to have Barbara here! And Barbara, the answer to your last questions is thank you and yes, yes yes! I find the structure of the book invaluable. It's the kind of book you can keep at your desk, leaf through, and find little nuggets to push you forward, inspire or just generally help out. Did you always know you wanted to structure the book like this? Thank you, I love that it works for you! I got the title first and for ages I couldn’t figure out the structure and the voice for it. For awhile I was thinking maybe divide it into twelve months but then my friend, writer and teacher Billy Mernit said it had to be daily cause then working, published writers would read it too. Finally I thought of the book as a party – all my favorite writers offering advice and commiseration and telling funny stories. Writing can be so lonely and such a weird way to spend our time – we need company and to know what a huge wonderful community we’re part of when we write. So that’s what I hope this book offers – daily company – and a good party. What surprised you in the writing of this book? Did you get any tips or advice that you couldn't use--or didn't want to? Originally I had a writing prompt for every day – and I got advice pro and con on that. Finally it just felt clunky and geared more toward beginning writers, so I have a prompt for each week at the end of the book now and saved all the other prompts for my next book (Kicking in the Wall) which is all prompts, exercises and quotes, plus what my students came up with for some of the exercises. I tell my new students: This is how you become a writer (and they all take out their notebooks like I’m going to say something profound.) 1. Read 2. Write. I think one of the most important things is to continue to write even when you think it’s all crap. You just keep writing your way through the despair, the second guessing, the doubt, the fear – I guess it’s just another version of “don’t give up”. Also - if you’re flailing around in a huge project – memoir or novel – take a break and try writing a short personal essay. I was once blocked up the ying yang in the middle of a terrible novel, and felt like I wasn’t a real writer any more. 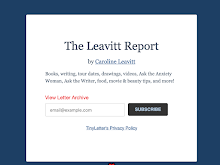 So I started writing personal essays and sending them out – some got published – and it did wonders for my attitude. You also are a fellow UCLA instructor, and I'd like to ask how teaching impacts your own work. I also think we teach the class we need to take. I don’t find writing easy so I teach what inspires me, what I need to remember and to discover to get unstuck. It’s about going to the office. I go there every day to work on a deadline, my blog, marketing, getting a class prepared. It’s not a big deal and has nothing to do with inspiration. It’s not as orderly as it was when I had kids at home and kept to a real schedule – kids out the door at 8:30 write until 3:00. My husband loves to travel so I’ve found that trips can be wonderful for getting my work done. Sightseeing isn’t my thing and I love to write in hotel rooms without any distractions. 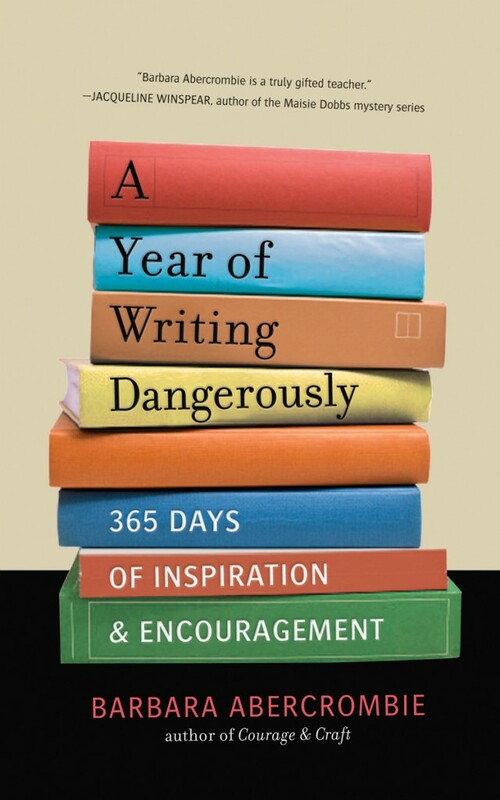 Most of all A YEAR OF WRITING DANGEROUSLY. Since it was published this week I’ve plunged into marketing and have become the Marketing Whore again. (As you well know, it’s so strange to be alone and working on a project for a year – and then kaboom! It’s out there.) And my next book, KICKING IN THE WALL will be published next year and the deadline is September so I’m obsessed and busy at work on that. I’m also renovating an old cabin in Lake Arrowhead – which is crazy – but I’m a bit obsessed about that too. And I’m constantly obsessed about my grandchildren – who are the funniest, most curious, and creative people I know. And my dog, Nelson, the sweetest dog on the planet. (I’m in Montana right now and missing him like crazy. )vI guess I’m just obsessive period. Can’t think of any. Such good questions. A thousand thank you’s!! Will you come to my blog WritingTime when your new novel is published? Or any time you want? Welcome to the wild and wooly world of the Bat Segundo Show and Edward Champion! First there is the name. Who wouldn't want to be on an author/artist interview program called The Bat Segundo show? But more importantly is the show itself. Casually conducted in cafes, diners, etc. around New York City, these interviews ask the questions you really want to know. Podcasts introduced by Bat and given by "Our Young, Roving Correspondent", the show has been known to include music by Three Cheap Tenors. You absolutely need to read the website (link is above) so you can find the answers to such startling questions like, "Why is Bat so rude?" and "Who is Bat Segundo?" and what is the unspecified indignity he suffered which is vaguely alluded to in the introduction of each show? I'm thrilled to have Edward Champion here to answer all my pesky questions. What I love most about the interviews is that they aren't interviews as usual. They're funny, surprising, silly, shocking, revealing--all the good adjectives. Are guests ever taken aback? Usually writers are solitary people with no social skills whatsoever, and yet you manage to have these wild and wooly interviews on the show. Is it because you disarm the writers? And if so, how? Thanks so much for all the many kind modifiers, Caroline. I'm pleasantly taken aback, because I'm so used to the outlaw qualifier! Writers are often taken aback by my style: sometimes because they cannot figure me out, but mostly because of my interpretive and interlocutory ebullience. If you're an author, then you're going to deal with that inevitable disconnect between what you intended to write and what a reader finds within. Now most authors who still maintain a genuine passion for books and who aren't needlessly catholic about what they etch into text are cool with this. Personally, I think all of this is fair game. Because you never know if some wending road that might lead you to another journey. Mary McCarthy, for instance, once wrote an essay for The New Republic, where she offered an exceptionally close reading of Nabokov's Pale Fire. Her piece begins with this astonishing sentence: "Pale Fire is a Jack-in-the-box, a Faberge gem, a clockwork toy, a chess problem, an infernal machine, a trap to catch reviewers, a cat-and-mouse game, a do-it-yourself novel." Now what self-respecting soul wouldn't want to carry on reading such marvelous excitement? Yet even today, there remain some people who actively loathe this approach, who really have it in for McCarthy for spending so much of her time with Nabokov and finding dead ends. Well, so what? Those feelings and observations were true to McCarthy. And is this not what life is all about? Keeping the floodgates of inquiry wide enough? Staying curious and engaged? Even when, and I won't dredge up the oft-quoted but wise passage from American Pastoral, you're utterly wrong? I've never been especially shy about throwing a rather silly or eccentric reading into these conversations (or even some of my journalism). Because if your mind gravitates towards something, then chances are there's a good reason. Even if it springs from some subconscious motivation. Even now, while preparing for a conversation with another writer in a few days, I'm struck by how this author is suspicious of California sunshine. It's too good to be true! She describes it as fantastical in one book and childish in another. As a California native, I can see where she's coming from. And there's a good chance I'm going to bring this up with her. On the surface, this may seem like I'm ferreting out for some mildly gossipy viewpoint -- what are this author's thoughts about West Coast weather? 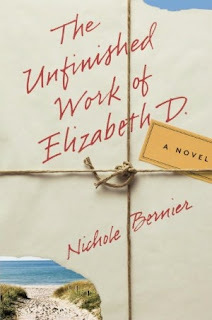 -- but, having read her work and seen how well she deals with characters who are in denial about their unhappiness, I'm very curious about whether such a decision helped to define her characters. I could very well be wrong. But I enjoy finding those fun little nuggets. Perhaps it disarms the writers because they so often have to deal with other interviewers who don't read the books like I do (if they read at all!). And above all, I want the conversation to be fun. There's a genuine excitement I feel thinking about this silly little aside about California sunshine that I know will make its way into my talk with this author. And I'm sure there are at least thirty more elements that will get me excited, many of which I don't know about right now. I didn't realize that I was in a witness protection program, Caroline! Believe it or not, I make it a habit to leave the house at least once every day and I am known to go for very long walks and attend modest soirées of varying scale and notoriety. But you're right to point to some modest unmasking. There's certainly some modest theater applied to the man with the two mikes. Michael Silverblatt, the great interviewer of KCRW's Bookworm, told me that he also has a modest persona. There's no cash required to suss me out. But I have refused to put the name "Edward Champion" in any of these shows. Because this is about making the authors look good. I love it that the interviews are conducted in casual settings, so I have to ask, did anything ever go wrong? Do people around you ever listen in? Or want to ask a question? I have had people come up to me after the conversation. There was one guy in a bar, who didn't like the type of guy who read Andrea Barrett, who became so transfixed by our talk that he came up to us when it was over and introduced himself. Very friendly. A few weeks ago, I ended up having a conversation with a tourist who overheard the talk, and he said he was going to buy everything the author wrote. Really, the casual settings emerged only because I didn't have a studio. It is rather funny how the lack of something causes so many unexpected adventures! So do Bat Segundo and Edward Champion fight for space in your body or do they get along? Oh, they get along quite well. The Bat Segundo persona who was originally in the introductions has appeared less and less -- in large part because my other work doesn't afford me the time to do the elaborate intros I envision. It could also be that my increasing interest in nonfiction is to blame. The "Correspondent" is the partial persona I adopt now. Although I remain a genuinely impassioned and curious journalist of some sort. It strikes me that almost all of your questions are questions that only a writer would ask another writer. You seem to get at the most interesting things going on--and I love it that some of your interviews notice that! So how do you prepare for an interview--do you know all the questions, or do you want it to be more conversational? I don't preinterview. I know nearly every other radio show does, but, if you ask me, that's a recipe for sterility. The list I make is really my own private act of faith that I know the books reasonably well to have an informed conversation. Very often, I wander from this, like a saunterer espying an unexpected sight off the route. Lots of subjects obsess me, I'm afraid. But I'd say I'm really concerned about the global economic crisis -- especially what's going on with the eurozone and the effects that these bailouts will have upon other banks and our ability to earn a living -- and the remarkable public indifference towards it. On the literary front, I was very obsessed with Saul Bellow after reading The Adventures of Augie March for the first time as part of my Modern Library Reading Challenge, my dutiful effort to read (and write about) the top 100 works of fiction. Ended up reading the two apprentice novels that came before, a volume of letters, and cursing myself for reading this masterpiece so late in life. Because it surely would have given me the right push if I had read Bellow in the right order in my twenties. (I read all the later books then. Like much of my life, I tend to do things in idiosyncratic order.) Income inequality, the gender divide, the marvelously inventive television show Community, the strange increase in zombie-like incidents in 2012. What doesn't obsess or interest me? I'm afraid, Caroline, that I'm going to have to curtail my response, lest I burden you with a protracted tract of bullet points and grievances. What question didn't I ask that I should be ashamed of myself for forgetting? Never be ashamed about what you do not ask. Even the most able and curious types are subject to some variant of l'esprit de l'escalier. If we ask nothing at all, or have no answer (even a wrong one) when someone asks us something, that's when we're in real trouble. To me, nothing is more important than writers helping other writers, and honestly, you can't find a better fairy godmother to have than megaseller Jodi Picoult. Warm, funny and with the best curly hair I have ever seen, she now has co-written a book with her daughter, Samantha Van Leer, Between the Lines. The book was Samantha's idea, and it's a classic fairy tale with a twist you won't see coming. I'm completely thrilled to have both Jodi and her daughter on my blog today. I can't thank you both enough! Jodi: Between the Lines was Sammy’s idea, and frankly, she’s got a better imagination than I ever did at her age. 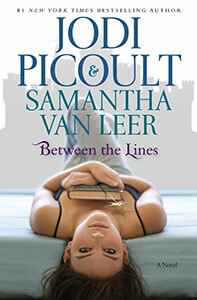 It’s called Between the Lines, and it’s about what happens when happily ever after…isn’t. Delilah, a loner hates school as much as she loves books—one book in particular. In fact if anyone knew how many times she has read and reread the sweet little fairy tale she found in the library, especially her cooler than cool classmates, she’d be sent to social Siberia . . . forever.To Delilah, though, this fairy tale is more than just words on the page. Sure, there’s a handsome (well, okay, incredibly handsome) prince, and a castle, and an evil villain, but it feels as if there’s something deeper going on. And one day, Delilah finds out there is. Turns out, this Prince Charming is not just a one-dimensional character in a book. He’s real, and a certain fifteen-year-old loner has caught his eye. But they’re from two different worlds, and how can it ever possibly work? Sammy: I was most surprised at how hard it was to sit for hours at a computer and just WRITE. I sometimes wanted to get up and burst through the window – and I’m sure there were times my mom wanted to kill me because I got distracted. But then there were times it was really amazing to work together. Sometimes we tripped over each other’s sentences just to get to the next line – it was sort of like we were having the same dream and seeing exactly the same images in our heads, so that when we were writing we were telepathic. So, really, the most surprising thing about working with my mom was how much fun we had together…and learning how similar we can be when we're writing. Jodi: Sammy has always been incredibly creative. As a seven-year-old, she wrote a 42-page short story. She's got an innate sense of character and conflict, which is the hardest thing to teach someone who wants to write. When she first pitched me this story idea, I thought it was a remarkable one, not just for teens but for adults. I mean, who hasn't had a crush on a literary character? I thought my role in the writing process would be to encourage her to actually follow through on her idea, and to give her specific goals--i.e. today we're going to write twenty pages! But she came into this with great skills, and I wound up treating her like an equal partner. She's a much better writer than I was at her age, and I found myself being swayed by her choices as a writer, and to my surprise, her instincts were spot on, even when I disagreed at first. The best part about working with her? Well, how many moms get a chance to spend five weeks on a book tour with a daughter who's leaving soon for college? I am so excited about having this concentrated, intense, amazing experience with her! I had one of the best times ever sitting at Le Pain Quotidian in Chelsea with Lisa Unger. She's funny, smart, and so engaging, I really wanted her to start checking out New York city real estate so she could come live here. 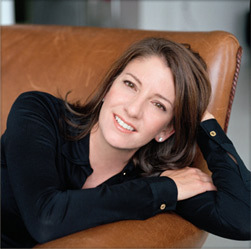 An award-winning New York Times and international bestselling author, her novels have sold over 1 million copies in the U.S. and have been translated into 26 different languages. Her writing has been hailed as “masterful” (St. Petersburg Times), “sensational” (Publishers Weekly) and “sophisticated” (New York Daily News) with “gripping narrative and evocative, muscular prose” (Associated Press.) The only thing that would thrill me more than hosting her on my blog would be to have her come to lunch again with me! Thank you, Lisa! You're known for the tense psychological grip your novels hold on readers. Can you talk about your techniques for this? Do you plan out your stories in advance or does some of the tension just come to you? know what my book will be about, who will show up, or what those characters will do day to day. So there’s no plan, really. But I’m always in suspense, in the grip of the drama playing out in the lives of my characters. So hopefully I can pass along that tension, that suspense, that passion to my readers. If something is affecting me, living in me, I don’t suppose it’s any surprise that it winds up on the page. But it’s not intentional. If we’re living and writing authentically, where we are allowing our experiences to change our lives, and our lives to inform our fiction, then everything we feel, dream, know and imagine is going to find its way into the work. If I were to censor or question that, I might limit my growth and honesty as a writer.growth and honesty as a writer. I always talk to my UCLA students about storyworld--how the setting of their novels should have its own dramatic arc and change as the characters do. 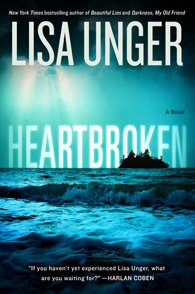 You've done this gorgeously in Heartbroken with Heart Island (I also loved the play on words with the title). Why choose this Lake? What did it mean to you specifically? Thank you for that. I do consider the island to be a kind of character in this story. It has a history, a personality. It does change and grow in the story. In many ways, Heart Island, which is a totally fictional island in a fictional lake, is an allegory for family. Emily, Birdie, and Kate are all connected to this place, and they are each either there or headed there for very personal reasons. Everyone wants something from HEART ISLAND; it means something different to each of them. But Heart Island is a fiction, a dream each of them has. And they’ll all be crashed upon the rocks of its reality. So often this is true of family. We want so much from it, but ultimately it can only be what it is. The contrast is often stark and painful. 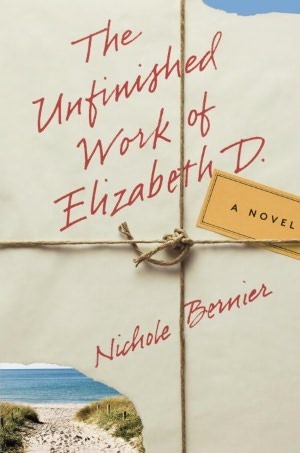 I also loved the idea of memories and ghosts that filter through this novel. Do you think we can ever escape our past? Most of us aren’t living in the present tense. Every moment is a messy twist of what we remember, what we are experiencing now, and what we expect, hope, or dread for the future. We are haunted in a sense by what has come before. I think the intention to dwell in the now, shedding the past, and not thinking about the future, is an important one. But, no. I don’t think we can escape our past – any more than we can escape our genetics. We can accept it, forgive it, move on from it, learn not to act from a place of pain relating to it. But it’s always with us. I am currently obsessed with psychic phenomenon, the childhood behavior of psychopaths, and the genetic roots of violence. I tend to get obsessed with certain dark non-fiction topics, and spend a lot of time buried in books. Those ideas often wind up figuring largely into my fiction. I am not sure if the story inspires the obsession, or if the obsession inspires the story. You should have asked when you would be invited to come to Florida and hang out in my tiki hut! I’ve been doing a series of videos with authors and other book lovers, where they sit in my tiki hut and talk about books. I call it: Tiki Talk! The answer is: You have a standing invitation.